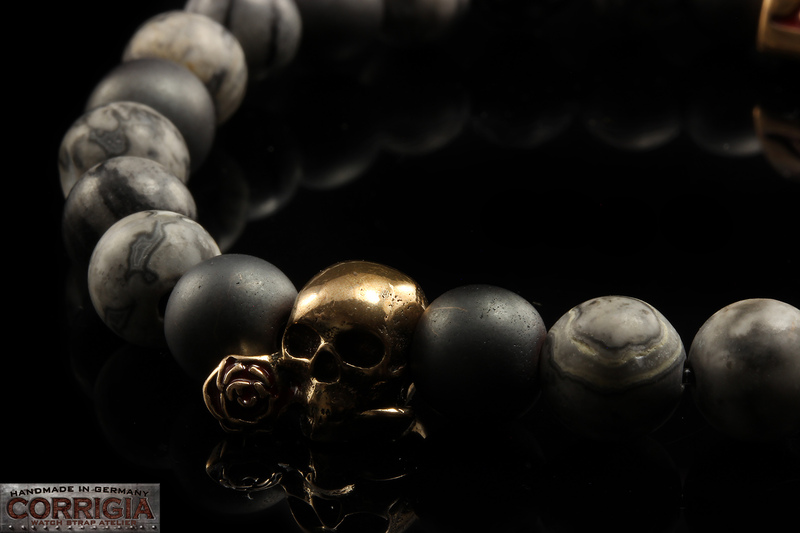 Product information "BEADS02 - Gray Bronze Xª Flottiglia MAS | Beaded Bracelet Naturstein-Armband"
Gray CORRIGIA Beaded bracelet of the BRONZE collection. The different gemstones make these Beaded Bracelet an absolute eye-catcher. 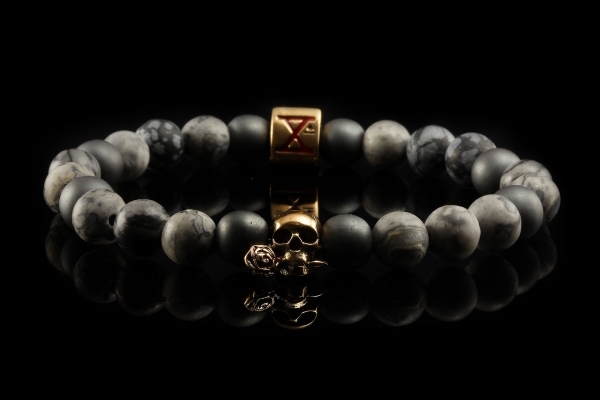 Combined with a Panerai, Rolex, Omega or another watch, these bracelets are an indispensable accessory. 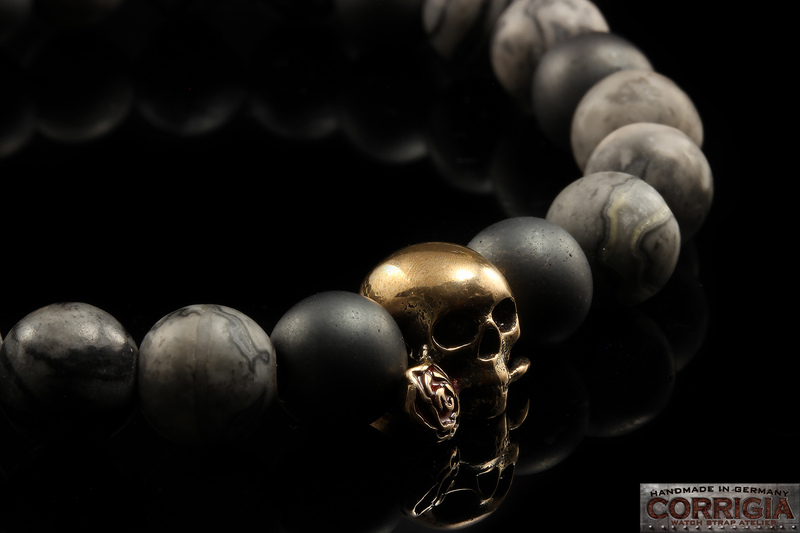 Xª Flottiglia Mas skull pendant made of 100% bronze CuSn6. The bracelets are threaded on a high-tech strech-thread and can be simply pulled over the hand. The gemstones/beads are carefully polished, polished and hand-set. All purchased jewelery items will be delivered in a matching jewelery and an exclusive CORRIGIA gift etui. 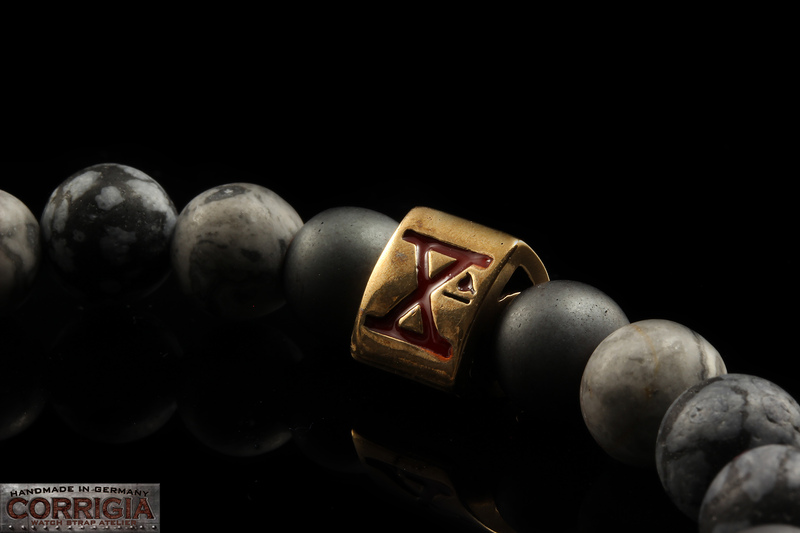 Related links to "BEADS02 - Gray Bronze Xª Flottiglia MAS | Beaded Bracelet Naturstein-Armband"